Fans of DOTA 2, but not all that intense PvP action, will have an opportunity this summer to play a different kind of DOTA. Anyone who buys the "The International 2017 Battle Pass," an annual item that not only adds to the reward money on the line at the big event but also provides in-game rewards to players, will get access to the new co-op campaign called "Siltbreaker." 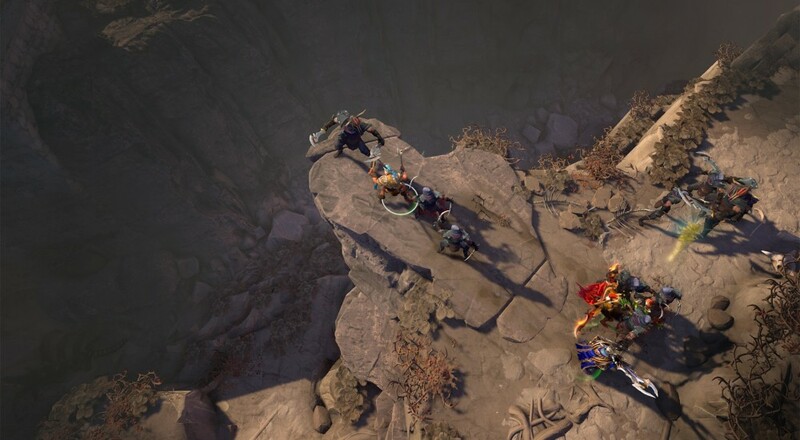 While Valve has offered some different co-op modes in the past for DOTA 2, this is the first time they've gone for, from the sound of it, something that's a little more story-based. Played across two parts, the first of which arrives sometime this month and the second in July, the "Siltbreaker" campaign will allow up to three players to team up online to "battle through a diverse landscape of loathsome monsters, cunning traps, and other lethal terrors." Each time you play the campaign, you'll earn campaign XP, which you can accumulate to earn some spins of the "Wheel of Rewards" (better than a "Wheel of Fish") with a chance to win the "extremely rare" courier, Desert Baby Roshan. Outside of that, Valve hasn't said too much else about the campaign. The three screenshots they've released thus far show three different dungeon tile sets (a desert, a dungeon, and a rainy jungle), and hint at taking on "hordes of enemies." As of this posting (Monday, May 8) the co-op campaign hasn't gone live, so that's all we've got for now. It's also unclear whether this co-op campaign will only be available for a limited time, though it certainly seems likely. We'll update as more details are revealed, and we'll undoubtedly be checking this out on one of our regular upcoming Monday night streams. DOTA 2 is free-to-play on the PC via Steam. The "Siltbreaker" co-op campaign is only available if you purchased the 2017 Battle Pass for $9.99. Page created in 0.3274 seconds.